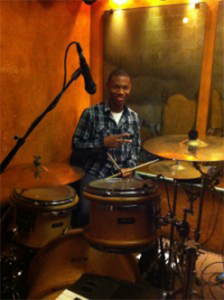 Moss Stanley, born and raised outside of London, England discovered at a young age, his musical talents. It was when his older sister began struggling through piano lessons that Moss ventured right to the piano and effortlessly played what he heard. From then on Moss nurtured his natural talents and at the age of 19, moved to the United States. 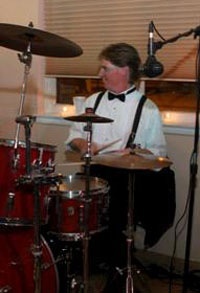 With just a few articles of clothing, no formal training and his magical fingers, he began his new life as a musician. 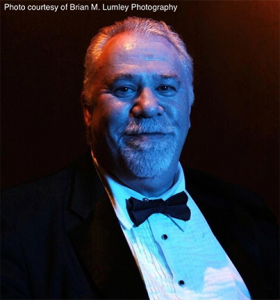 It was in the early 1980’s that he formed one of the city’s top society bands, “Nitebridge” which he still leads, performing for audiences in clubs/bars, weddings, bat/bar mitzvahs and benefits. Moss has been musical director for broadway musicals and has performed with the likes of Martha Reeves, Spyro Gyra, Chuck Berry, Blood Sweat & Tears, and Robert Lockwood Jr.
Ed Callahan started out as a Heavy Metal/Big Hair Guitar player then moved to Keyboards and Vocals with Neutral Zone. Played with The Church Band at Christ Church as Piano/Vocalist for 10 years. Occasionally would sit in with the Kraker Brothers and Tony Koussa Jr. Fronted a Billy Joel Tribute/The Stranger, slappin’ da Bass with Shadow of Doubt/Tom Petty and the Heartbreakers Tribute. Now Lead Vocalist with Nitebridge. 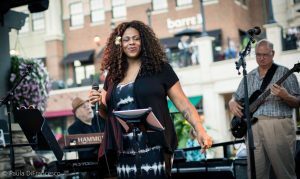 It was at a young age that Norine learned to truly appreciate the music from ‘before her time.’ She developed a passion and respect for music listening to her mother’s jazz, blues, and R&B albums. 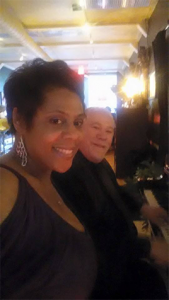 Barely in grade school, after listening to the Patti LaBelle “I’m In Love Again” album, Norine became enthralled and truly respected musicians ability to reach others souls with their voices and talents. Norine spent hours in her room listening to and admiring vocalists such as Nancy Wilson, Johnny Mathis, Dakota Staton, Jimmy Scott, Sarah Vaughn, Carmen McCrae, Johnny Harman, and Ella Fitzgerald. Norine discovered the stage and performance in high school where she joined drama club and performed in show choir. The theatre bug bit her hard and she went on to study theatre and obtain a degree in performing arts. While working as a server at a restaurant in her college years, she was discovered as the “singing server” and was asked to join a local band. Her plans to go to New York to perform were interrupted when she married and became a mother. However, Norine still continued doing what she loved in music. After returning to college to obtain a degree in education, Norine took some time off to become a teacher and mother. She is now a mother of 5 girls, (4 that walk, 1 that flutters and flies) and surrogate mother to many students that she proudly calls, “her babies.” Norine puts her life experiences of love, grief, devastation, survival, passion, and loss into her music and reaches many with her unique and rich sound. Billie Mitchell is a soulful singer/songwriter from Cleveland, Ohio. At age 14, she attended Camp New Look, founded by International Recording Artist, Usher Raymond IV. Here, Billie found her passion for singing and songwriting. She continued exploring her many talents in plays and musicals. In 2012, Billie attended a local college, studying jazz performance. Ms. Mitchell excelled and soon became one of three lead vocalist in a well known entertainment band called “Nitebridge.” In addition, Billie has collaborated and performed with many local and international artists. 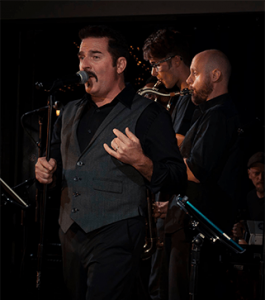 When not with Nitebridge, Dan Wenninger can be seen performing with the Revolution Brass Band, Oblique Orchestra, and Trepanning Trio. 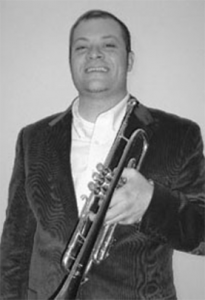 In the past he has performed and recorded with Carlos Jones & the P.L.U.S. Band, Mifune, Fuzzhead, Infinite Number of Sounds, Pureplex, Scarcity of Tanks, The Rhythm Syndicate, Becky Boyd & Real Life, Lounge Kitty, and Cat’s On Holiday. 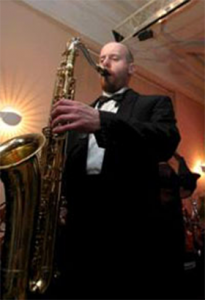 His current project, Oblique Orchestra, is a free jazz ensemble that explores spontaneous free improvisation. They have four albums out on the Infinite Number of Sounds label. They are also the house band at 1Way, a monthly new/free music showcase which presents and documents local experimental, new, and free music. Dan curates the music at this event. He also organizes and conducts the Freedom Jazz Collective, a series of concerts that explore mass improvisation and feature a cross-section of Cleveland’s avant-improv community. 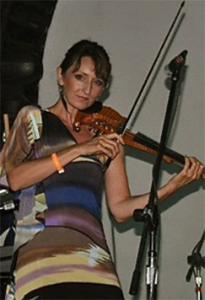 Versatile Cleveland musician Michele George has played violin and viola with regional symphony orchestras throughout Ohio, Pennsylvania, and West Virginia, as well as for productions at Playhouse Square and the Cleveland Playhouse in Cleveland, Ohio. She has shared the stage with George Benson, the Trans-Siberian Orchestra, Rosemary Clooney, Roy Clark, Hawkwind, Meatloaf, and Il Divo. As an electric violinist in Cleveland, she plays regularly with Tim Blake, and has played with the award winning experimental space-rock band Einstein’s Secret Orchestra, the Tellers, Witch Disco, and has made appearances with Moss Stanley’s Nitebridge. A gifted musician with an unusually strong command of his craft and a fully-formed musical identity. His extraordinary ear for rhythm was evidenced very early and he emerged with a demonstrated proficiency in jazz, gospel, fusion, hip hop, rock, reggae, funk and R&B. “My instrument of choice is drums, but I never want to be considered as “just a drummer.” I’m an innovator and create music from the heart,” says Jonathan. 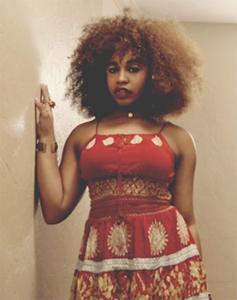 transferred to Cuyahoga Community College, where she currently studies vocal jazz performance and upright/electric bass. 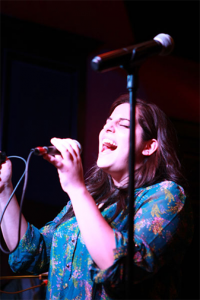 Upon studying at Tri-C, Jessica was accepted into Berklee College of Music in Boston, MA, but chose to stay in Cleveland to continue honing her craft.